I was a judge for the Cybils Graphic Novels category for both middle grade and young adult and it was the YA category that was the most agonizing for me to decide how to cast my vote. There were two outstanding entries in a field of great YA graphic novels. Templar by Jordan Mechner and illustrated by husband and wife team LeUyen Pham and Alex Puvilland and Boxers and Saints by Gene Luen Yang. Both graphic novels tackled epic historical events and used a cast of imagined characters to tell a complex and compelling story. Boxers and Saints used an interesting approach of two books with intersecting stories to tell the different sides of The Boxer Rebellion in 1890s China. Boxers tells the story of the rebels who opposed foreign imperialism and Christianity, while Saints tells the story of the converted. His characters collide in the two books just at the point where you, as the reader, feel a connection to them and a sympathy for their point of view. As an Asian American, I so wanted to cast my vote for Boxers and Saints! 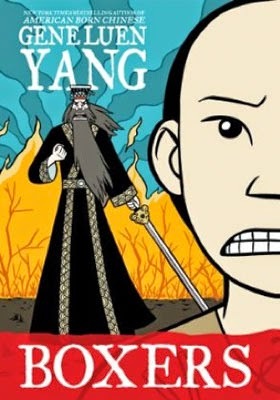 You just don't see many Asian stories in YA graphic novels! But Templar blew me away. It's magnificent. I wasn't familiar with the Templars' story - I'm not sure how, but I just wasn't. The Knights Templar date back to the 14th century Crusades. They were a military order, endorsed by the Catholic Church, and famous as one of the most skilled fighting units of the Crusades. It was after the Crusades that their troubles start, and Jordan Mechner's book begins. The Knights Templars fall in a complicated plot involving money, politics and power; a story that still feels modern, as in "This Kind of Thing Still Happens". It's at this juncture that Jordan Mechner's story of Templar draws us in. A handful of rogue knights escape the mass roundup, torture and eventual execution of the order of the Knights Templar, and Mechner imagines their story as a small band of outlaws able to outwit King Philip IV's men in France. There's a huge fortune at stake; it's this treasure from the Holy Lands that King Philip IV desires to fund a war in Flanders. Mechner weaves in a love story and a cloak and daggar adventure around the already compelling Templar story. Husband and wife team LeUyen Pham and Alex Puvilland bring a cinematic animation quality to the illustrations. It's not just the storyboarding that is superb, but Pham and Puvillard convey emotions in each frame using both facial expression and body language that does a lot of the heavy lifting to bring Mechner's story to life. It would not surprise me if LeUyen Pham and Alex Puvilland have feature animation experience! There are many story threads to draw in a teen audience. There's the unrequited love story between the Templar knight hero Martin and the girl he leaves behind to battle in the crusades. She's the sister of a power player in the Templar drama and a lynchpin to the knights' successful heist of their hidden treasure. There's also the band of misfit knights; each with different motivations and not necessarily a cohesive group. The bad guys are really easy to hate; Guillaume de Nogaret the King's advisor is truly evil and King Philip IV's greed is palpable. 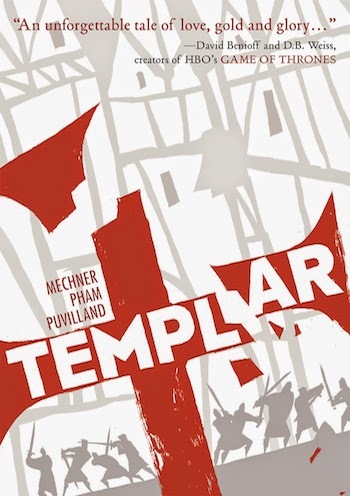 The Templar story has been widely and successfuly told in other genres but Mechner, Pham and Puvilland have created a version that will bring a new teen audience to this captivating period of history. I hope you get a chance to read it! 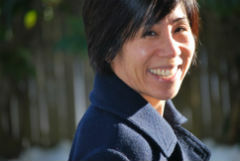 Mia Wenjen blogs on parenting, education and children's books at PragmaticMom. She lives outside of Boston with her husband, three kids and Golden Retriever. She invites you to connect with her on social media: Pinterest, Twitter, LinkedIn, Facebook, Sulia, Google +, Instagram and YouTube.